"We used this book for my daughter's 6th birthday just last month. I cannot recommend it highly enough! 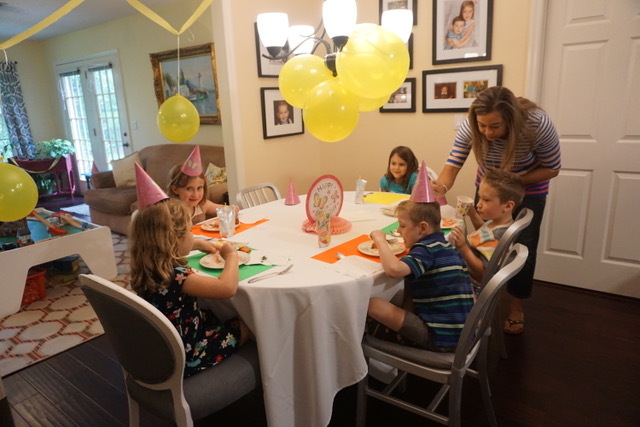 We have had previous parties at restaurants, at parks, and even at a gymnastics place, but this one was so special. She had 4 friends attend, and since they were her very best friends, they had a wonderful time, gave thoughtful presents, and all got along. I enjoyed planning this with my child as she read the book cover to cover!!! She and I were able to set the schedule together (using the included timeline) and we wrote invitations and thank you notes as the book suggested. I think this the first birthday were she felt she had a starring role as planning and executor. She also loved decorating our house and shopping at the Dollar Store for the prizes! We saved money, had fun, and had a very happy birthday girl." Best Buddies post on Free-Range Kids blog. Check out the recent interview with author Dr. Sally Butzin on WTXL.